In a bayou town, children are going missing or dying, and the next victims may be two mutant children. This is the psychic dream of Rachel Summers which kicks off a mysterious road trip down to the south with Wolverine, Rogue, and Kitty who’re strangely motivated to discover the mystery behind Summers precognition. The characterization of the three X Men felt forced. They lacked depth and through this five issue run remained flat and lacked any evolving depth or logical reaction. This may be do to the fact Revel prefers to come up with stories and work characters into the plot. However, this approach can trivialize the cast and in this case make them borderline incompetent. One of the new mutants, Nora, can cause the people around her to manifest memories of the people from their past. This becomes awkward when the X Men have to fight these manifestations. Furthermore, although pain forces Nora to stop these manifestations, nobody seems to remember this fact for the whole rest of the story. It’s a plot device that makes the story become weighted down and convoluted. There was one fight between Wolverine and a memory of Sabertooth which was embarrassing . As Sabertooth is threatening to kill a child mutant, Wolverine states that’s out of character for even Sabertooth. 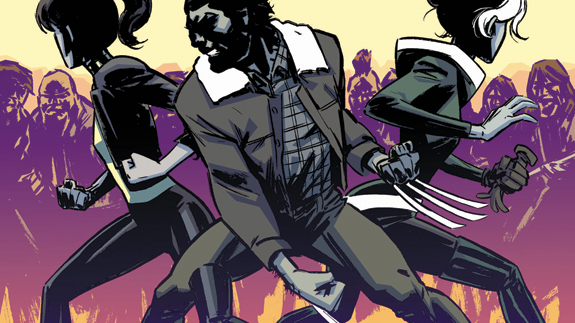 Yet, Sabertooth is dressed exactly the same as he was during his Mutant Massacre time. That’s an odd oversight considering a lot of this story is supposed to focus on the character’s memories of other people. Did Wolverine forget that Sabertooth killed many mutants of all ages and kinds? If so, then why is Sabertooth even here? When Professor X shows up and starts preaching a holy ghost message, the story’s lack of focus almost becomes unbearable. In addition, there were quite a few grammatical mistakes in the dialogue. Although some of it could be seen as some type of uneducated dialect, there are other parts which were almost indecipherable and clearly lacked words. Not only did Revel write the story, but also he managed to draw it as well. That is pretty impressive considering the art style was pretty consistent and he obviously has practice at drawing a wide range of X Men characters. Although it took sort of minimalist comic strip approach to the overall look, it still had quite a bit of detail that grabs your attention from panel to panel. 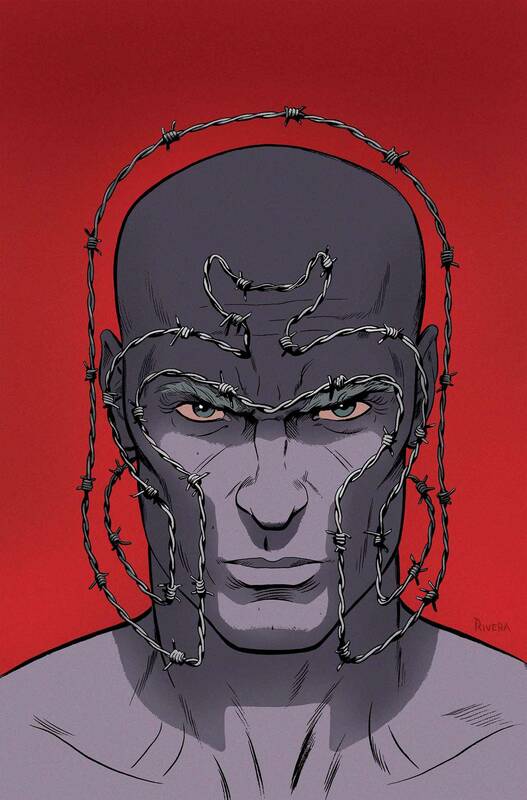 Although Marvel Knights are supposed to be read as an indie form of Marvel, this run’s lack of editing, polish, or oversight reflects poorly upon the larger editorial staff of Marvel. Yes, it’s commendable to give indie artist and writers the freedom to realize their Marvel story. However, some of this story could have been reigned in and edited down or at least proof read. Not every Marvel Knight story is going to be a Cinderella story, but Marvel could at least try to prevent some casualties. Overall, the story lacked a significant amount of focus and somehow became a borderline PSA about drug addiction and finding healthy ways of dealing with loss. Hey, Marvel has produced much worse PSA’s during the 80’s and 90’s which covered the same material, but at least the readers knew what they were getting into back then. Regardless, it’s remarkable Revel was able to juggle the writing and artwork for this five issue run, and hopefully we can at least see some of his art-style come back for some more.